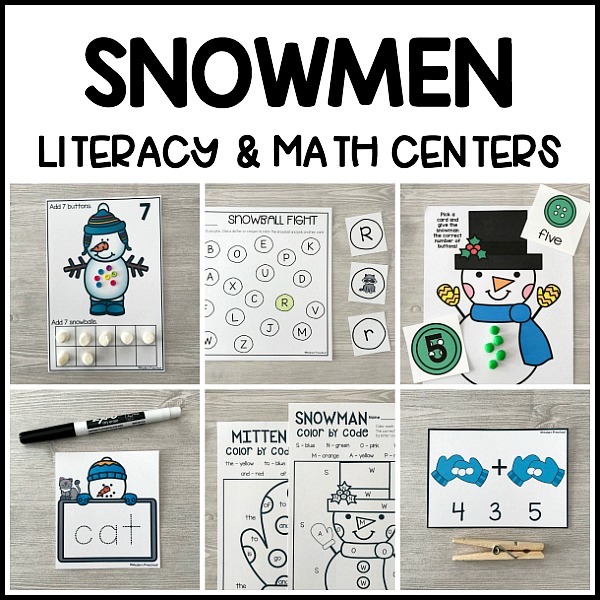 Our SNOWMEN literacy & math centers were designed to cover winter in your classroom. Coming back from break is not always easy, so we’ve done your planning for you! 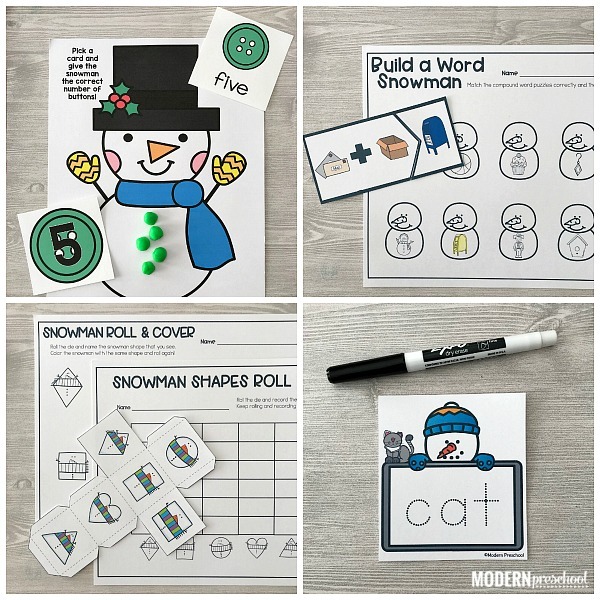 Print the snowman winter themed super low prep literacy and math activities full of easy to follow directions. This make the learning centers perfect for preschool, pre-k, and kindergarten. Use the optional versions of activities to reach the different learning levels in your classroom. 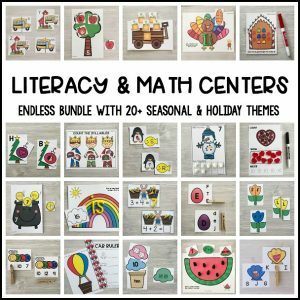 The SNOWMEN literacy & math centers are part of the ENDLESS Themed Literacy & Math Centers Bundle. Purchase the bundle and save! 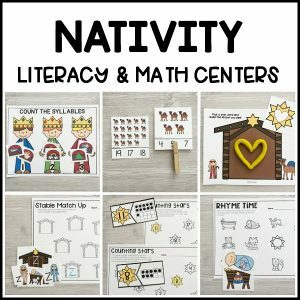 Read about the 13+ SNOWMEN Literacy & Math Centers in the descriptions below. Photos of the activities in action can be found above. 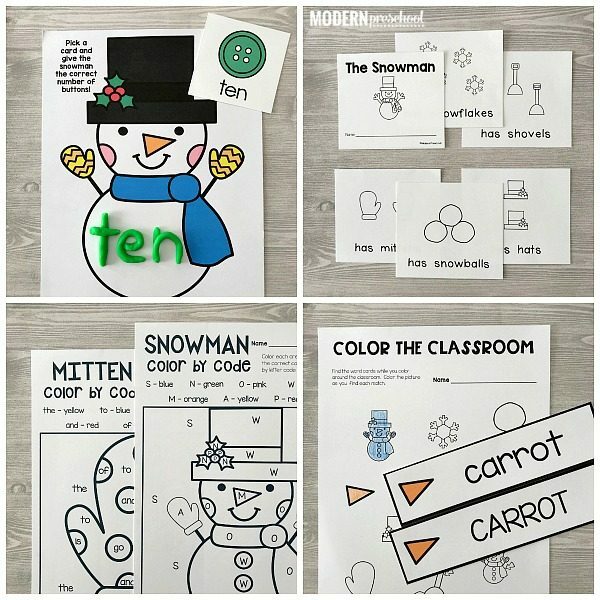 Snowman Vocab & Write the Room – 10 snowman and winter themed vocabulary word cards are included in both uppercase and lowercase versions. Use the cards in your writing area, during social studies, or along with circle time. There are 3 Write the Room recording papers (trace uppercase words, trace lowercase words, write the words on your own) and Color the Room recording sheets included to differentiate instruction. “The Snowman” – includes repetition, sight words, and themed words. 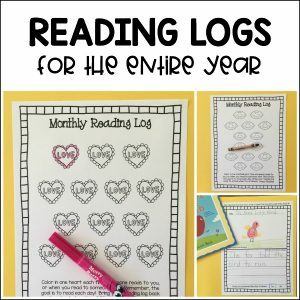 Includes 2 pages per piece of paper to make copying and assembling books super simple! “The Snowman” (mini) – 2 words per mini page with use of color words in the reader. In this mini book, The entire reader is printed on one page. Practice the simple themed words with clues from the pictures. Alphabet & Initial Sound Snowball Fight – Choose the uppercase, lowercase, or initial sound pictures to match to the snowballs on the recording sheet. Practice letter recognition and beginning sounds. Build a Snowman Compound Words – “Add” the 2 pictures together to create a compound word. Match the puzzles up correctly and color in the same compound word picture on the recording sheet. Snowman CVC Word Trace – Put all those letter formation skills to the test to write letters in CVC words. Practice sounding out, blending sounds, and letter formation while tracing simple words. Snowy Color By Code (Letters or Sight Words) – Use the code at the top of the page to color in the letters (on the snowman) or the sight words (on the mitten) correctly. 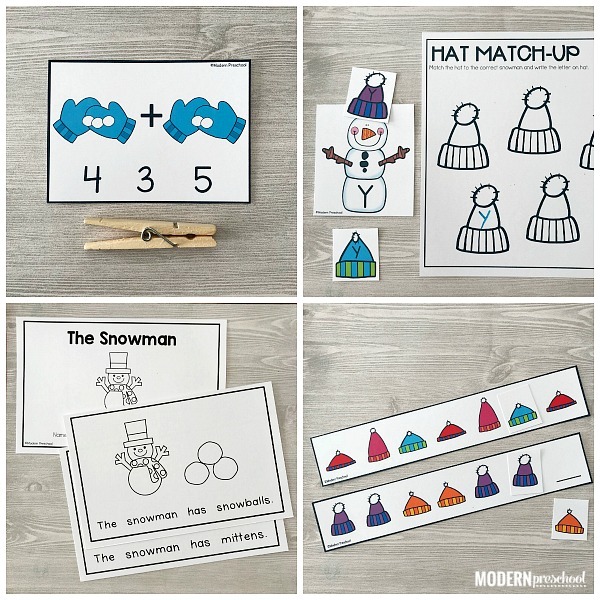 Snowman Hat Alphabet Match – Match the letter on the hat to the correct snowman. Choose from uppercase or lowercase lettered hats. Write the letters that are matched on the recording sheet for extra writing practice. Snowman Number Play Dough Mats – Pick a number card 1-20 and add that many play dough buttons to the snowman’s belly. Use the included number word cards to build number words or to build that many buttons. 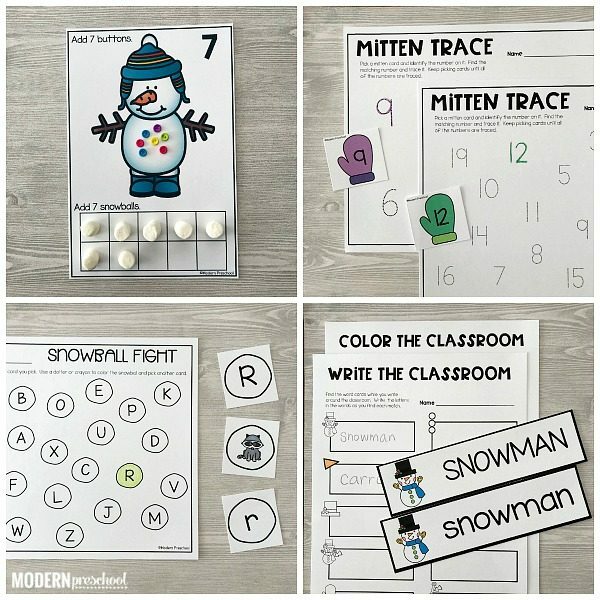 Snowman 10 Frame & Button Cards – Add the correct number of mini buttons to the snowman’s belly. Then add the same number of snowballs (mini marshmallows, white pom poms, or included printable snowballs) to the 10 frame. Snowball Addition Cards – Add the number of snowballs on the first set of mittens with the number of snowballs on the second set of mittens. Clip the answer with a clothespin. 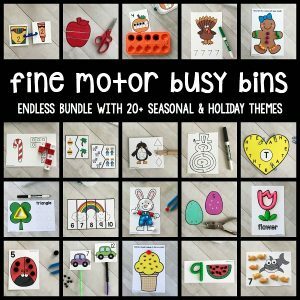 This activity can be used for practice with counting skills or addition skills. Snowman Shape & Roll or Graph – Use the printable dice with the snowman shapes on it to roll and color in a snowman on the graph. For beginners, roll and color in the matching shapes on the recording sheet. Snowman Hat Patters (AB, ABC, ABB) – Use the included snowman hat patterned pieces to complete each pattern strip. Four pattern strips of each kind of pattern is included. 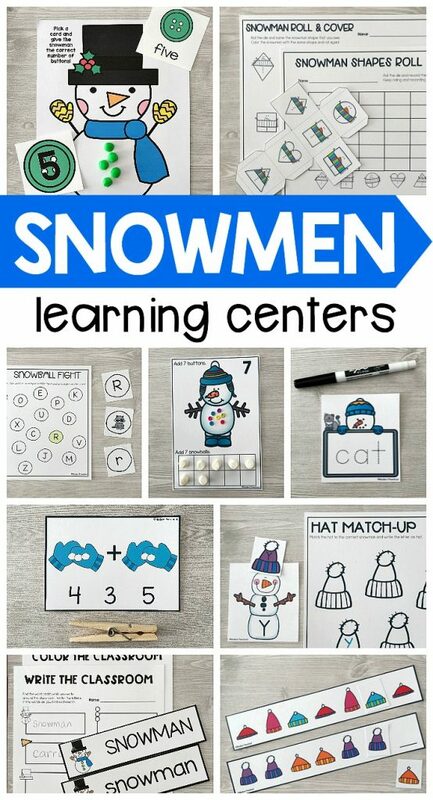 These snowmen literacy & math centers will be the perfect partner to our snowman fine motor busy bins! 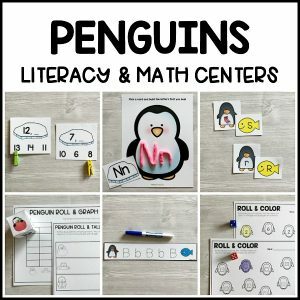 You will also love our penguin literacy & math centers to finish off your winter theme!